1. Why did the teacher of the Law ask Jesus his first question? a) He was trying to trap Jesus. b) He was sincerely looking for the truth. 2. The two most important commandments are “love the Lord your God” and “love your neighbor”. 3. Jesus told this parable in answer to which question? 4. 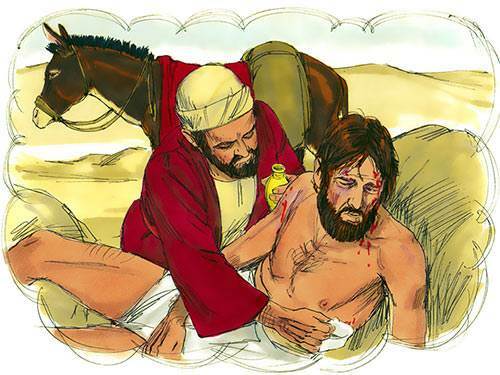 The priest and the Levite did what would be expected—they stopped and helped the victim. 5. Who acted like a neighbor toward the man who had been attacked?